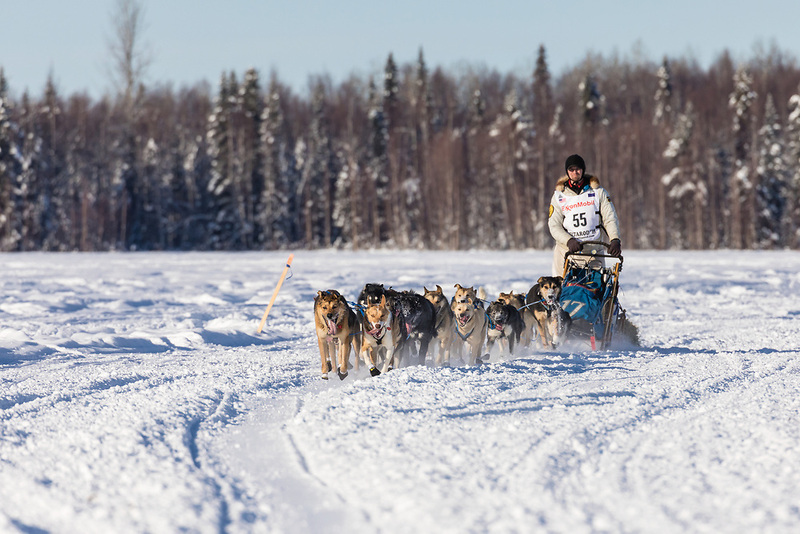 Musher Matt Failor after the restart in Willow of the 46th Iditarod Trail Sled Dog Race in Southcentral Alaska. Afternoon. Winter.